We create healthy smiles for a lifetime. Our office goes through great lengths to ensure you and your family are comfortable. Enjoy blankets, warm neck pillows and scented towels, and noise-cancelling headphones. Complimentary expresso drinks and refreshments are also provided. We use modern dental technology including digital x-rays, lasers, intra-oral cameras, and 3D Imaging. 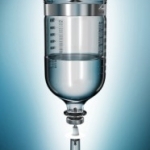 In-network with insurances, monthly payment plans, and options for our non-insured patients. Dental implants can replace your missing teeth or help lock in loose dentures. Take back your confidence. We use the latest techniques to keep your smile healthy. 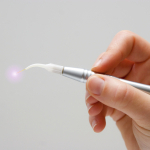 Dental lasers can help stimulate the body to regenerate lost bone from gum disease. Don’t be embarrassed by short teeth. We offer quick, painless treatments to give you the smile you’ve always wanted. Dr. Choudhury offers safe and comfortable sedation treatments to reduce dental fear and anxiety. 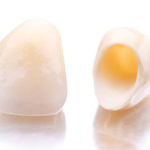 All-ceramic crowns are considered the most beautiful crown that a tooth can get. They are also great for people with metal allergies. You have many choices when it comes to whitening. 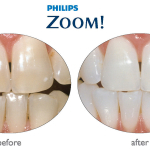 We offer both in-office 1-hour bleaching and custom tray take home options. Both methods are safe and easy. 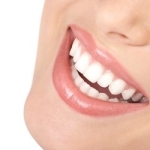 Many adults are unhappy with crooked teeth. Invisalign aligners are the clear alternative to metal braces and are the virtually invisible way to improve your smile. 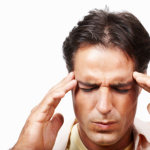 Did you know that many tension headaches are related to your bite? 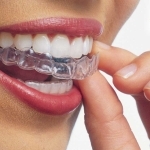 Our Houston office can provide you with a custom, well-fitting night guard to protect from jaw clenching. I’ve had extensive dental work done in my life time, but none that could ever compare to the exceptional service that I have received each visit at Dr. Eric Choudhury’s office. From the time I’ve entered the office to the time I’ve exit his office. Everyone has always been very Professional, Accommodating and Personable. I would highly recommend any of my family members and friends as I have already done to visit his office. Excellent service, nice team, good job, fair price… Thank you. 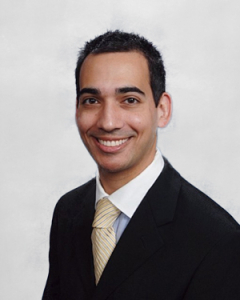 Hi, my name is Dr. Eric Choudhury and I would like to welcome you to our Houston Periodontics and Implant Dentistry practice. Our dental team provides the very best West Houston dental care in periodontics, dental implants, and cosmetic dentistry while creating a pleasant and relaxing dental experience. Both of our doctors hold advanced degrees from prestigious Ivy League universities. In our endless pursuit of excellence, our Cosmetic and Periodontal Dental Center adheres to the highest standards of care utilizing the latest techniques to ensure you are receiving the most optimal care. From the moment you step through our doors, you will notice that we are not just any ordinary dental practice, but one that truly cares about the oral and overall health of our clients. As a periodontist in Houston, we offer a full scope of services including dental implants, periodontics and cosmetic dental surgery. Our West Houston office can correct a wide variety of gum and jaw bone issues and give you the beautiful smile you deserve. Even a subtle change in your smile helps you to project an image of self-confidence and high self esteem. When you feel good about yourself, it shows. If you are looking for a Houston periodontist or a have already seen an implant dentist and need a second opinion, we custom tailor treatment to suit your individual needs and desires. Please read our positive Google reviews or check out our Facebook page! Please feel free to follow us on Twitter or become our fan on Facebook. Get Directions to Our Office and Read Our Great Reviews!